Selected as a member of the prestigious Historic Hotels of America by the National Trust for Historic Preservation The Otesaga is reminiscent of a more genteel era when a gracious welcome was the standard. 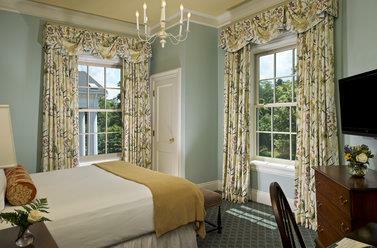 The Otesaga continues to receive the coveted AAA Four Diamond Award for providing exceptional accommodations excellent service and an elegant atmosphere. It blends perfectly with Cooperstown Americas most perfect village. Combining natural beauty with an unhurried pace Cooperstown is the ideal place to re-discover our nations past and The Otesaga the ideal accommodation. We are located on the Lake in the Village of Coopestown. Clark Sports CenterThe Clark Sports Center facility encompasses 64000 square feet with 17 acres of playing fields. Inside of the Sports Center you will find a multi-use gym floor indoor running track racquetball courts squash courts bowling center swimming. Farmers Museum-Fenimore Art MuseumFenimore Art Museum is dedicated to welcoming and connecting people to our shared cultural heritage through exhibitions and programs that provoke delight and inspire. The Farmers Museum is a place to cultivate an understanding of the rural. The Baseball Hall of FameThe National Baseball Hall of Fame and Museum is an independent non-profit educational institution dedicated to fostering an appreciation of the historical development of baseball and its impact on our culture by collecting preserving exhibiting. Glimmerglass OperaThe Alice Busch Opera Theater is an integral part of the Glimmerglass experience. Its casual elegance beautiful surroundings and excellent acoustics provide an intimate one-of-a-kind operatic encounter.